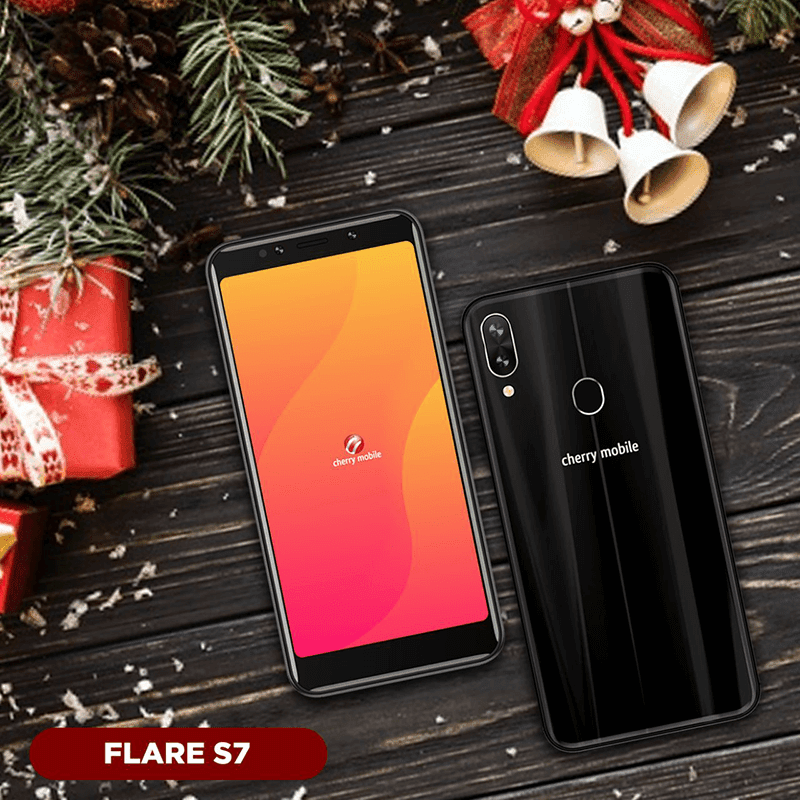 Holiday Gift Guide 2018: The right Cherry Mobile Flare S7 series phone for you is? 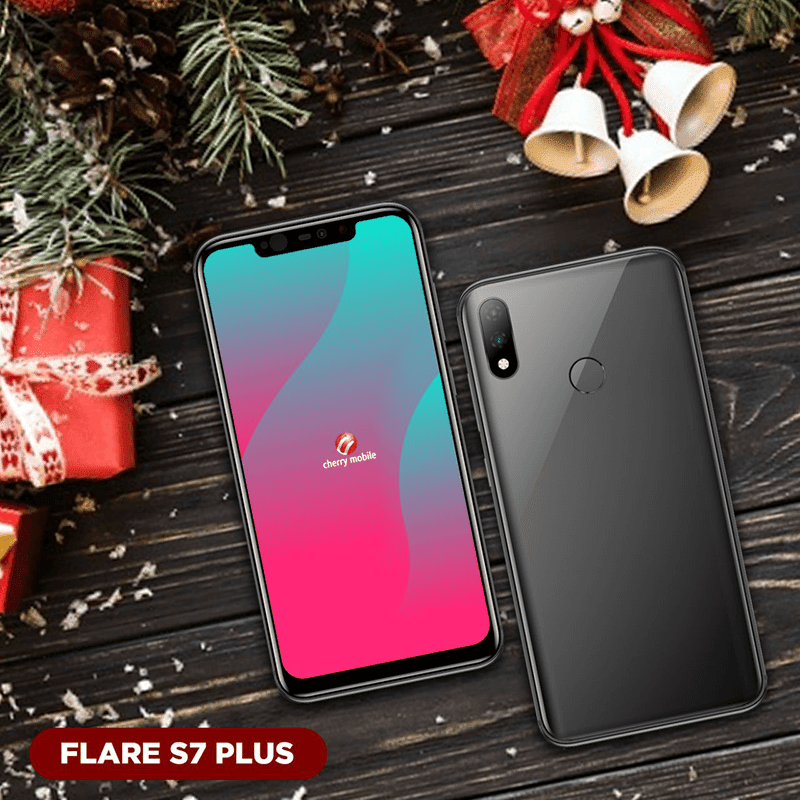 Home / cherry mobile / mobile / news / Holiday Gift Guide 2018: The right Cherry Mobile Flare S7 series phone for you is? Cherry Mobile's Flare S7 series promises both style and performance for less. So, if you are looking to gift it to yourself or loved ones, check this out. Cherry Mobile Flare S7 series: Which is the one for you? 1. The affordable base form - For a starting price of PHP 4,599, the Cherry Mobile Flare S7. The Flare S7 has a 5.5-inch 2.5D curved IPS screen with 1440 x 720 HD+ resolution. Inside, it has a 1.3GHz MT6739WA quad-core processor, PowerVR GE8100 GPU, up to 3GB RAM, 16GB of expandable storage and a 2,400mAh with 5V/2A charging and wireless charging support. For cameras, it has dual rear cameras with a 13MP OV12830 + 2MP GC2385 with BSI and LED flash while the dual selfie cameras sport 13MP OV12830 + 2MP GC2385 as well. It is also using Android 8.1 Oreo. It also has a fingerprint sensor, face unlock and USB Type C port. The 2GB/16GB variant goes for PHP 4,599 while the 3GB/16GB variant PHP 4,999. 2. Bigger display - For PHP 5,999, the Cherry Mobile Flare S7 Deluxe that has a 5.85-inch curved IPS display with 1512 x 720 resolution. It comes with a 1.3GHz, MT6793WA quad-core processor, PowerVR GE8100 GPU, 3GB of RAM with 16GB of expandable storage, and a 2,800mAh battery. It also has the same quad camera setup of the Flare S7, Android 8.1 Oreo out of the box, fingerprint sensor, face unlock and USB Type-C port as well. 3. The one with the punch - For PHP 11,999, the Cherry Mobile Flare S7 Plus has a 6.18-inch 2.5D curved IPS display with 2245 x 1080 FHD+ resolution and Corning Gorilla Glass 3 protection. It is housing a 2.0GHz Helio P60 octa-core processor with dual core AI, Mali-G72 MP3 GPU, 4GB RAM and 64GB expandable storage. It also has a 3,050mAh battery with 5V/2A and wireless charging support. For cameras, it has a dual rear camera setup with 16MP f/2.0 OV16885 + 5MP with PDAF, BSI, AI and LED flash. It also has a dual selfie camera setup with 16MP f/2.0 + IR camera sensors with BSI and AI face beauty. It has a fingerprint sensor, IR face unlock and USB Type-C. So which do you think is the right Cherry Mobile Flare S7 phone for you?